No more leftover pancakes forgotten in the fridge! 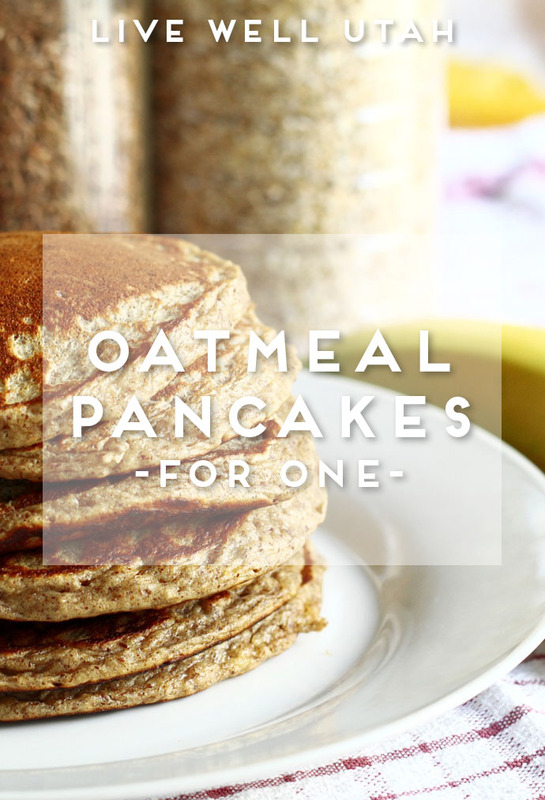 Try this single-serving oatmeal pancake recipe, and increase the recipe if you need to feed more people. Here is a great single serving pancake recipe, packed with protein and fiber to keep you full all morning; and only 215 calories for the entire batch! This recipe uses only six ingredients, and you likely already have them in your pantry. It is super simple to make, simply place all the ingredients in a bowl, and mix just until combined. Then pre-heat your pan on medium-high heat with a little cooking spray to keep it from sticking. Flip once the pancakes starts to set. Be careful not to overcook them; you don’t want the pancakes to get too dark and dry out. All three pancakes are one serving, only 215 calories, 12.5 grams of protein and 3 grams of fiber! Try avoiding sugary syrups and top your pancakes with yogurt and fresh fruit. Place all six ingredients into a small mixing bowl. Pre-heat a skillet on medium-high with a little cooking spray to keep it from sticking. Scoop batter into three medium-sized pancakes. Flip when the bottom of the pancake is set and lifts easily. Repeat on other side. Serve with yogurt and fresh fruit for a flavorful, fresh taste! October is in full swing, and that means pumpkin is everywhere! 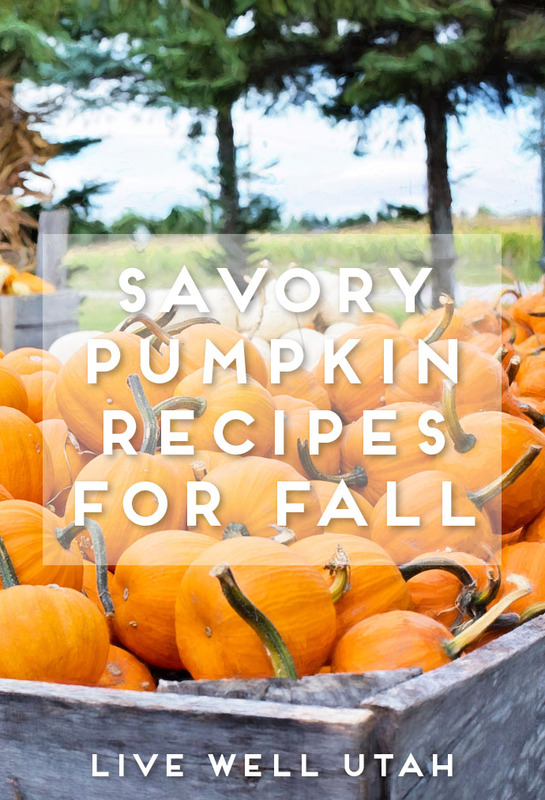 Don’t reserve pumpkin just for your baked goods and sweet treats, try these savory pumpkin recipes to get a taste of fall. Pumpkin is low in calories. One-half cup of mashed pumpkin (without salt) has 24 calories, 0 grams (g) fat, 1 g protein, 6 g carbohydrate, 1 g fiber and 1 milligram sodium. Pumpkins are packed with nutrients, such as fiber and beta carotene. Our bodies use beta carotene to produce vitamin A. Pumpkins are also rich in potassium. You can steam it, bake it, boil it, microwave it (if you put slits in it), and pressure cook it. Once cooked it can be mashed, pureed, cubed and stored in either the fridge or freezer in air tight containers. Mashed or pureed pumpkin (either fresh or canned) has many options for its use. Here are just a few: Muffins, biscuits, and quick breads with part whole wheat flour; soups, added to the sauce in mac and cheese; added to chili; make a smoothie; cheese balls; and add to hummus. Cubed and cooked pumpkin can be used with pasta, risotto, soups, salads, and casseroles. slice green onions, and top when serving. teaspoon black pepper, if desired. Transfer hot soup to pumpkin tureen. Garnish with grated Parmesan cheese and chopped parsley. Serve hot. *Canned chicken broth and canned pumpkin may contain added salt. Taste the finished soup before adding salt, as additional salt may not be needed. 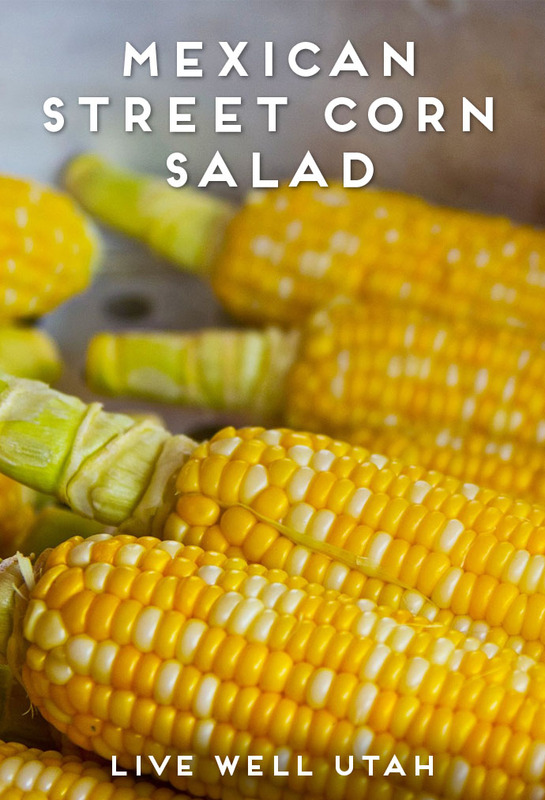 Try this salad as an alternative to eating corn-on-the-cob, using fresh or frozen corn. Heat oil in skillet over medium heat. Add corn (if using fresh corn on the cob, boil for several minutes and then cut kernels off the cob first) and cook until the corn starts to brown. Stir occasionally. While the corn is cooking, mix together the remaining ingredients in a medium bowl. 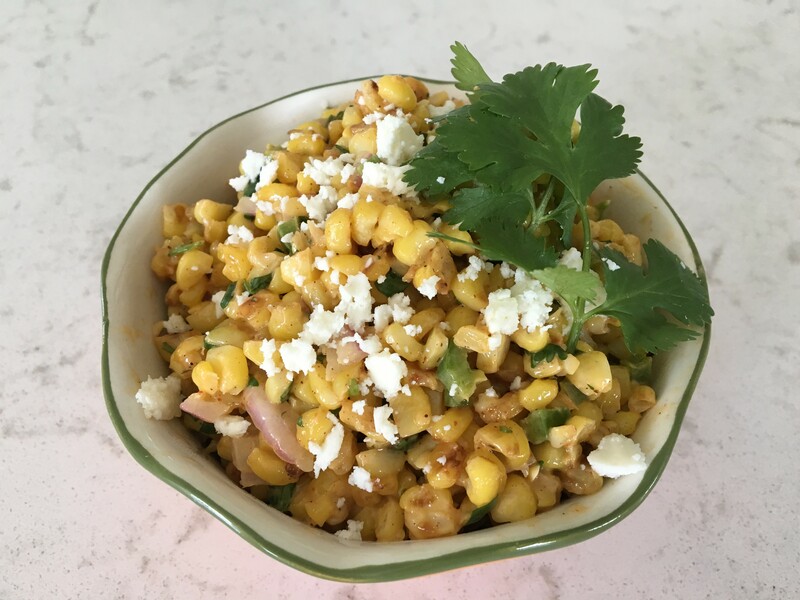 When corn is lightly browned, gently fold it in with other ingredients. Did you know you can mix up your mealtimes while using your same favorite recipes? With small adjustments, one recipe can provide a variety of meals. Here’s an example of a delicious recipe and how it can be altered to provide you with several dinner ideas! Cut chicken into bite-sized pieces. In a medium saucepan, brown chicken in 1 tablespoon oil. Add remaining oil and flour. Stir constantly until flour browns. Stir in garlic, cumin, and salt. Mix in chilies and 2 cups water. Bring to a boil. Cover and simmer until chicken is tender and sauce thickens, 30-45 minutes, adding more water to thin if necessary. Serve in tortilla shells; top with cheese or other desired toppings. You can also serve it over rice. Cut chicken into bite-sized pieces. In a saucepan, brown chicken in 1 tablespoon oil. In a separate medium saucepan, combine 1 tablespoon oil with the flour. Stir constantly until flour browns. Slowly add chicken broth or water, whisking until smooth. Stir in chicken, garlic, cumin, salt, and chilies. Add more liquid, as needed, to reach the desired consistency of soup broth. Bring to a boil. Cover and simmer until chicken is tender. If soup is too thin, simmer sauce until thickened. If soup is too thick, add more water. Soup can be topped with cheese and sour cream if desired. Cut chicken into bite-sized pieces. In a medium saucepan, brown chicken in 1 tablespoon oil. Add remaining oil and flour. Stir constantly until flour browns. Stir in garlic, cumin, and salt. Mix in chilies and 2 cups water. Bring to a boil. Cover and simmer until chicken is tender. This is where personal preference comes in: if you like salsa/dip to be chunkier, simmer for a longer amount of time, until it has reached the desired thickness. If you like salsa/dip to be runnier, add more liquid as needed, simmering for less time until it has reached the desired thickness. Serve with chips as a side dish. I scream, you scream, we all scream for ice cream! Satisfy your sweet tooth, and make one of these healthy alternatives to your favorite frozen treat. Ice cream is a widely loved treat. It’s used to celebrate special occasions, keep cool on a hot day or as a treat to satisfy a sweet tooth. However, sometimes you might want a treat that’s a little bit healthier. 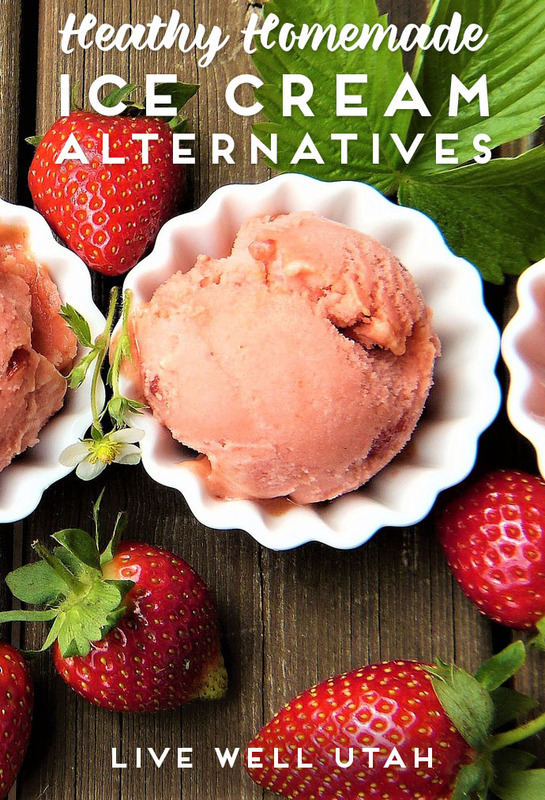 Here are three ice cream alternatives that can be a healthier choice, are just as delicious, and are made with real fruit. Plus, you can make them at home with the whole family! In a blender or food processor, combine the banana and milk. Add more milk for a “soft-serve” consistency. Add the cocoa powder, adding more for a dark chocolate flavor. Add vanilla. For different flavors, add in shredded coconut, slivered almonds, walnuts, cashews, cinnamon or peanut butter. Leave out the cocoa powder for a vanilla flavor. To make a strawberry flavored banana “ice cream,” use the below recipe. Place all ingredients in a blender or food processor. Blend until smooth and creamy. Add more or less milk to produce desired consistency. Combine strawberries and sugar in food processor or blender and pulse until finely chopped. Mix buttermilk and lemon juice together; slowly add to strawberries. Blend until smooth and creamy, adding more buttermilk mixture as necessary for desired consistency. Serve immediately or freeze in freezer, stirring occasionally. Combine raspberries and honey/agave in a food processor and blend on high speed until smooth. If you use frozen raspberries, you may get sorbet immediately. Serve immediately or transfer to a container and keep in the freezer. If using fresh or thawed raspberries, pour mixture into ice cream maker, and follow ice cream maker’s instructions. Serve immediately or transfer to container and keep in freezer. Combine all ingredients in a blender or bowl. Milk mixture will thicken as soon as the lemon juice is added. Place in a shallow dish and freeze. Stir once or twice while freezing. * This recipe needs a little milk fat to have a custardy texture. Non-fat milk freezes hard, more like a popsicle. 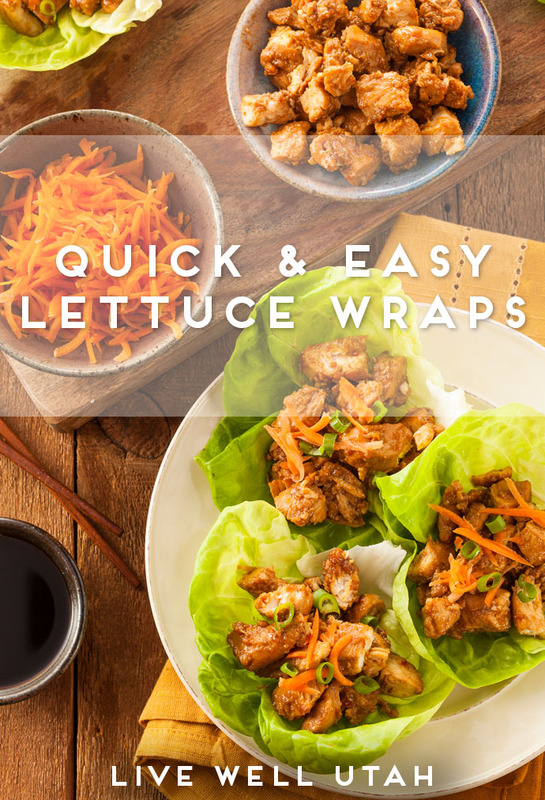 Celebrate Family Mealtime Month and prepare one of these quick, healthy lettuce wrap ideas for your next family dinner. Bacon bits, cooked shredded chicken (can use leftover grilled chicken too), chopped tomatoes, avocados and ranch dressing (I make my own with buttermilk and reduced fat mayo). Fresh basil leaves, grated Parmesan cheese, lemon juice, olive oil, 4 cloves garlic, minced, 1/4 teaspoon ground black pepper, 2 cups cooked quinoa, 1 15-ounce can no-salt-added red kidney beans, rinsed and drained. You guessed it…use the lettuce as the shell…the rest is taco meat, cheese, sour cream, salsa, etc. Whatever your favorite taco fillings are, they are perfect in a lettuce wrap! Make tuna salad as you like it. I like to make the dressing with plain Greek yogurt, mustard and lemon pepper seasoning. Add shredded carrots, chopped celery, and diced green onion. Chopped apple or sliced grapes are also a nice addition. You can also use chicken or hard boiled eggs to change up your salad filling. Brown ground beef, add chopped onion and seasoned salt to taste. Melt cheddar cheese on top, place in lettuce and top with tomatoes, pickles, ketchup and other cheeseburger favorites. Place sliced ham, cheese, and pineapple chunks inside lettuce. Top with chopped celery and chopped green onions. Drizzle with your favorite teriyaki sauce. Place cooked shredded pork, chopped water chestnuts, chopped celery, chopped green onion, shredded carrots and teriyaki glaze in a lettuce leaf. Enjoy! We also like sesame seeds, coconut and drained, crushed pineapple on ours. There are so many other ideas, from a Greek/Mediterranean twist, to a smoked salmon filling, to a Thai with peanut sauce filling. The sky’s the limit! Wraps are fun to experiment with, and are a great way to stretch leftover meat. Whole cooked grains like cracked wheat, barley and brown rice also make a great addition. Or what about couscous? Have fun! Do you have more zucchini than you know what to do with? Give these recipes a try! I’ve never met anyone who has too little zucchini. It is easy to grow…and grow it does! 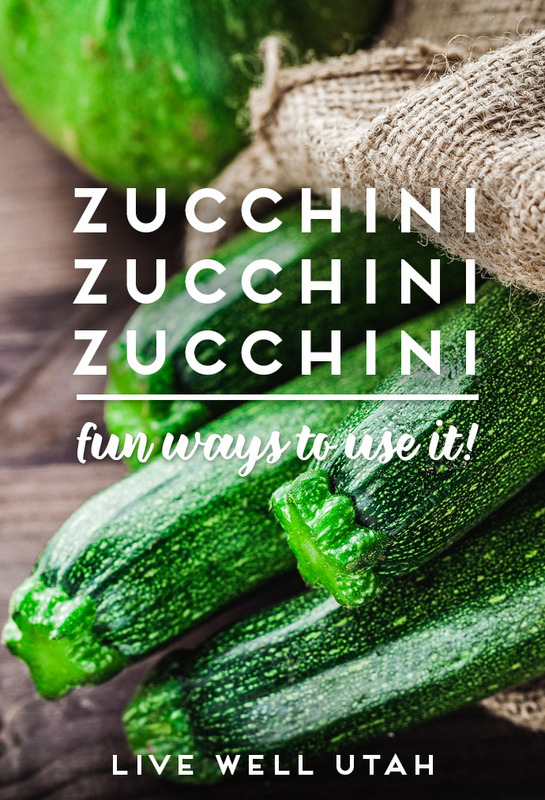 Zucchini is a healthy vegetable — with a surprisingly high amount of vitamin C. Other than making your basic zucchini bread or once again making fried zucchini for the millionth time, there are many other fun ways to use it. Although it is NOT recommended to can cubed or sliced zucchini (or other summer squash), there are tested zucchini canning recipes. Safe recipes are available for zucchini-pineapple and pickled bread-and-butter zucchini. The added acid in these recipes helps make them safe. Shredded zucchini freezes beautifully and can be pulled out year-round to make up a yummy chocolate zucchini cake! For directions on how to freeze zucchini go here. Want the yummy chocolate zucchini cake recipe too? Try this one. Few people think about it – but zucchini actually dries quite nicely. Choose young, slender zucchini. (Those huge overgrown zucchini won’t be very tasty once you dry them). Cut into ¼-inch slices, and dry at 125 F until brittle. Dried zucchini works nicely in soups and casseroles. What? Eat the blossoms? You bet! They are edible and quite tasty either raw or cooked. Cut the blossoms midday when the petals are open, and leave a bit of stem. Rinse blossoms and put them in ice water until ready to use. You will want to use the blossoms up within 4-6 hours. Pick 3 to 4 blossoms per person and 1 or 2 baby yellow or green summer squash. Rinse blossoms well and drain on paper towels. Beat 4 eggs with a little milk. Add fresh chopped parsley and snipped chives, if desired. Add salt and pepper to taste. In a non-stick pan, sauté a little butter and cook 2 green onions and thinly sliced baby squash just until soft. Then quickly sauté the blossoms for about 30 seconds and remove from pan. Pour egg mix into pan, sprinkle and arrange the onions, squash and blossoms on top and cook over low-to-medium heat until almost set. Sprinkle with Asiago cheese and put under the broiler until lightly puffed and browned. So — do you have some new ideas? I hope so! However, if you are still on the hunt for a great zucchini bread recipe, check this one out. Included are helpful step-by-step directions and tips. Farmers markets: we’ve told you where to find them, why to shop them, and how to meal plan around what you find there. Many have special events and activities to help create a community around the farmers market. At the USU Botanical Center Farmers Market, there is a children’s activity each week, and some sort of free, special event. Some weeks they have Aggie Ice Cream tasting, other weeks a cooking demonstration. This week, on August 31, they’ll be having a salsa showdown. Check it out Thursday— you can bring your best salsa to enter, or just come and sample the different entries. Can’t come on Thursday? 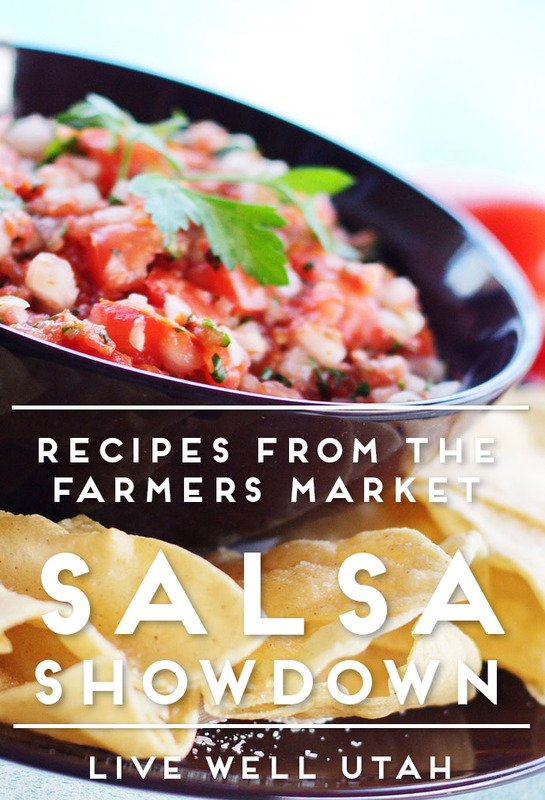 Use those garden fresh tomatoes and try one of these recipes from the 2016 Salsa Showdown. In a large bowl, combine diced tomato and cucumber. Remove seeds from pepper, and chop finely. Add pepper, onion, cilantro and vinegar to tomato and cucumber, and mix well. Add salsa seasoning, to taste. Start with a small amount of seasoning, taste salsa, and add more if desired. Store in refrigerator. Place all diced fruit, vegetables and cilantro in a large bowl. In a small bowl, combine remaining ingredients with a whisk, and pour over salsa. Stir to combine, and adjust seasoning and vinegar to taste. Store in refrigerator. Ready or not, school will be starting soon for many Utah kids (if it hasn’t already). When kids walk in the door after school, they are STARVING. 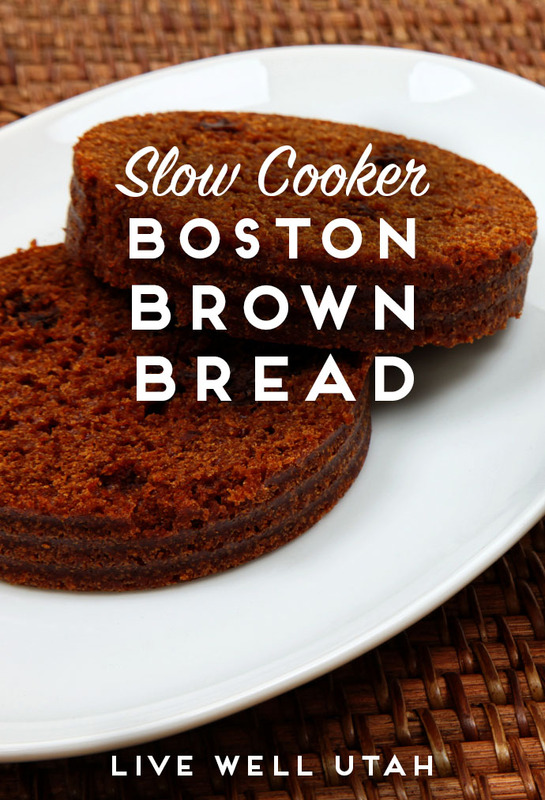 Let the aroma of this crockpot bread entice them beyond the cookie jar. It’s ready when they are! Mix wet and dry ingredients separately, then combine and mix briefly to moisten thoroughly. Place dough in greased #10 can, loaf pan, bundt cake pan, or make a 2/3 batch and grease two spaghetti sauce cans – whatever will fit in your crockpot with the lid on. Add enough water to reach halfway up the sides of the pan, put the crockpot lid on (with tinfoil, if necessary) and cook on low overnight or all day, or on high for 3-5 hours. Let cool before taking the bread from the pans. Do you have more zucchini than you know what to do with? Don’t throw it out, try preserving it! 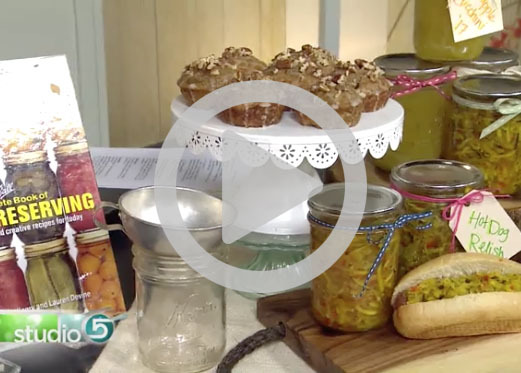 Watch our latest segment on Studio 5 to learn three ways to preserve zucchini. Read on for the recipes we mentioned in the show. Cut washed zucchini in 1/4 inch slices and dry in food dehydrator. Use dried zucchini in soup, chili, or casseroles. 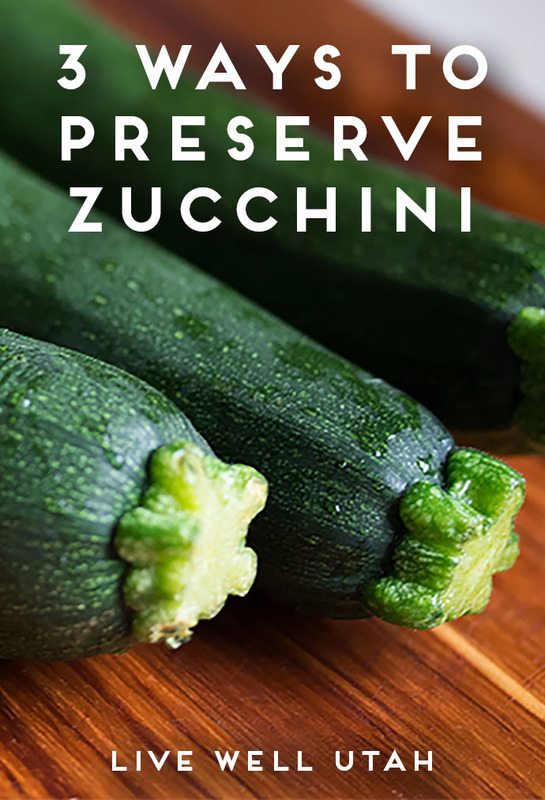 Prepare zucchini for freezing by cutting it the way you like to eat it (cubed, shredded, spiralized, sliced, etc.). Blanch zucchini in boiling water or steam, then cool in an ice bath before freezing. In a large bowl, mix together zucchini, oil and vanilla. Add in flour, sugar, salt, soda, and cocoa. Stir to combine. Mix will seem very dry (depending on how wet the zucchini is), but continue stirring until mix comes together and resembles stiff cookie dough. Fold in chocolate chips. Spread into a 9×13 baking dish, lined with aluminum foil and sprayed with cooking spray. Bake at 350°F for 30 minutes. Once cool, use foil ends to lift out of baking dish. Cut brownies into desired size, and dust with powdered sugar before serving. Because zucchini is a low-acid food, it can only be processed safely if acid is added. You’ll probably find two recipe types for canning zucchini— pickles or relishes, and pineapple zucchini or zucchini marmalades. Be sure to use recipes from reliable sources such as Ball, the National Center for Home Food Preservation, or USU Extension. Recipes from these sources have been tested and scientifically proven to be safe. This Recipe was taken from the Ball Blue Book. Serve with hotdogs, hamburgers, sloppy joe’s, pulled pork sandwiches, or tuna salad. Wash zucchini and green and red bell peppers under cold running water; drain. Remove stems and blossom ends from zucchini. Chop or shred zucchini; measure 2 cups chopped or shredded zucchini. Peel onion and chop; measure 1 cup chopped onion. Remove stems and seeds from green and red bell peppers. Chop green bell pepper; measure ½ cup chopped green bell pepper. Chop red bell pepper; measure ½ cup chopped red bell pepper. Combine zucchini, onion, green pepper, and red bell pepper in a large bowl. Sprinkle salt over vegetables. Pour cold water over vegetables just to cover. Let stand 2 hours. Drain vegetables. Rinse vegetables under cold water, drain. Combine sugar, spices, and vinegar in a large saucepan. Bring mixture to a simmer (180°F). Add vegetables; simmer 10 minutes. Pack hot relish into a hot jar, leaving ½ inch headspace. Add 1/16 teaspoon Pickle Crisp to half-pint jar, if desired. Remove air bubbles. Clean jar rim. Center lid on jar and adjust band to fingertip-tight. Place jar on the rack elevated over simmering water (180°F) in boiling-water canner. Repeat until all jars are filled. Lower the rack into simmering water. Water must cover jars by 1 inch. Adjust heat to medium-high, cover canner and bring water to a rolling boil. Process half-pint jars 10 minutes (add 10 minutes to adjust for altitude in Utah). Turn off heat and remove cover. Let jars cool 5 minutes. Remove jars from Canner; do not retighten bands if loose. Cool 12 hours. Check seals. Label and store jars. Use pineapple zucchini any way you would use canned pineapple. Try it baked into muffins, quick breads, or cakes. Mix it in with your fruit salad, or blended into a smoothie. Wash zucchini under cold running water; drain. Remove stem and blossom ends. Peel zucchini and cut in half lengthwise. Remove seeds. Cut zucchini into ½-inch cubes or shred it using a food grater. Combine zucchini, sugar, pineapple juice, and lemon juice in a large saucepan. Bring mixture to a boil, stirring until sugar dissolves. Reduce heat to a simmer (180°F). Simmer 20 minutes, stirring to prevent sticking. Pack hot zucchini and juice into a hot jar, leaving ½ inch headspace. Remove air bubbles. Clean jar rim. Center lid on jar and adjust band to fingertip-tight. Place jar on the rack elevated over simmering water (180°F) in boiling water canner. Repeat until all jars are filled. Lower the rack into simmering water; water must cover jars by 1 inch. Adjust heat to medium-high, cover canner and bring water to a rolling boil. Process pint jars 15 minutes. Turn off heat and remove cover. Let jars cool 5 minutes. Remove jars from canner; do not retighten bands if loose. Cool 12 hours. Test seals. Label and store jars. Note: Use only commercial bottled pineapple juice and bottled lemon juice in this recipe to achieve the correct pH level (acidity) for safe processing in a boiling-water canner. Preheat the oven to 300°F. Spread pecans onto a lined baking pan. Toast for 8 minutes. Remove from the oven, let cool, and then chop. Turn oven up to 350°F (177°C), then prepare muffin tin by coating with cooking spray. Whisk the flour, baking soda, cinnamon, allspice, and salt together in a large bowl. Whisk the rest of the cake ingredients in a medium bowl. Pour wet ingredients into dry ingredients and whisk until just. Fold in 1/2 cup toasted pecans. Fill each muffin space ¾ full, and top with remaining pecans (if icing, reserve pecan garnish for after baking). Bake for 15 minutes or until a toothpick inserted in the center comes out clean. Remove muffins from tin and allow to cool completely on a wire rack. Whisk together 2 tablespoons Greek yogurt, 1 cup powdered sugar, and 1 tablespoon juice from pineapple zucchini. Add more juice as needed until icing is pourable consistency. Drizzle muffins with icing, and top with remaining pecans.